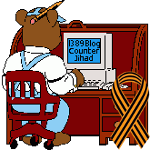 Why monarch butterflies are dwindling, and what you can do — 1389 Blog - Counterjihad! As milkweed goes, so goes the monarch butterfly. “Plight of the Monarch,” a new 22-minute documentary by fine art photographers Cindy and Kirby Pringle, looks the crucial role milkweed plays in the lifecycle of the monarch butterfly. Because milkweed is disappearing — it is being mowed and sprayed by herbicides — so is the monarch butterfly. The reason is simple, but not so easily solved: loss of habitat. The butterfly needs milkweed to survive and when milkweed disappears — so will the monarch. All the video and photographs are by the Pringles, except for the last image in the film. Original music is by Will DeSelms and Bruce Parker. I have had the amazing experience of seeing their entire life-cycle from caterpillar to chrysalis to butterfly. It was incredible for me as a teacher, and for my class, to be able to watch the entire process. Next post: The battle for Egypt: What’s at stake?